"The staff was great. They got me in ASAP. I wasn't even a patient there and they made me feel so comfortable, that they are my new dentist office." Mitchell Dentistry provides over 55 years of combined experience in comprehensive dentistry to the community of Fort Myers, FL. Dr. James Mitchell, Dr. Yolanda Mitchell, and Dr. Joseph Mitchell are a family of cosmetic dentists who provide a wide array of quality dental services, including dental implants, Invisalign®, Zoom! teeth whitening, laser dentistry, and more. In addition to these restorative and cosmetic dentistry services, we also provide pediatric dentistry, taking appointments for children three years old and up. We are a dental office that knows the importance of family and we treat you like part of our own. Our family-oriented dental practice welcomes all patients in Lee County and the surrounding areas. 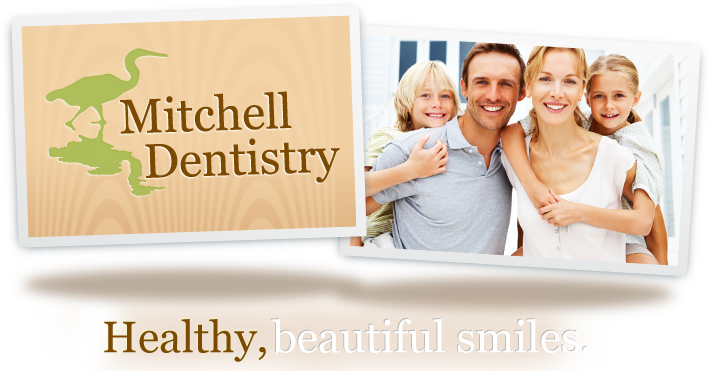 Mitchell Dentistry is a family-owned and operated dental office that caters to new and existing patients alike. From our front desk staff to our dental hygienists, our entire team is knowledgeable and accessible. We work together with patients to create custom treatment plans that are unique to their needs. We offer essential treatment options such as routine cleanings and filings, as well as extensive services like complete smile makeovers. Our dental services provide solutions for the most complex patient needs. Furthermore, our practice focuses on education, giving our patients the tools they need to make decisions that best benefit their dental health. Our experienced staff helps patients understand procedure processes and what steps are involved in specific dental treatment plans. While we offer routine services to everyone, we also cater to specialty cases. With treatment options for patients suffering from sleep apnea and services such as All-On-4, our team is able to provide a place where patients can look forward to having all of their dental needs met under one roof. We find satisfaction in patient gratification; our office prioritizes creating lasting relationships with patients so we can better serve their needs and expectations. The more we build positive interactions, the better treatment satisfaction we can offer. At our dental office, we cherish the relationships we build with our patients. Our staff invites questions, allowing our patients to take a proactive approach to their dental hygiene. To schedule your consultation with one of our Mitchell Dentistry dentists, stop by our Fort Myers dental office or give us a call today!